Carry out or delivery available on all catering orders. Please call to confirm receipt of fax. Please give 24 hour notice for all catering orders for preparation and prompt delivery. Gratuity automatically added to all catering orders. 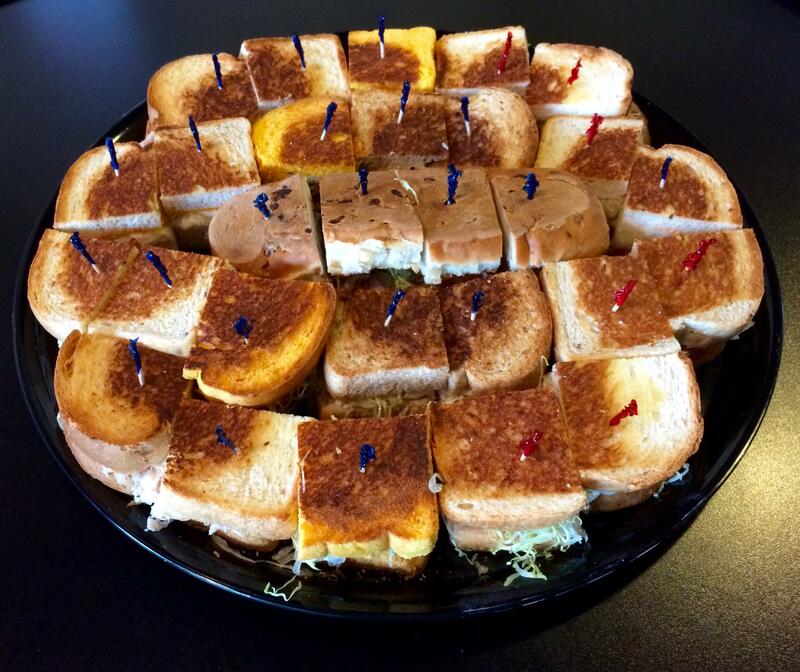 All trays come with pickle spears and the listed sandwiches, cut in ¼.
Substitutions allowed. Tuna salad and chicken salad is not available on tray orders. Paper products (napkins, plates, plastic ware and cups) included upon request. Dressings and/or vegetables on the side are subject to an additional $5.00 charge each. All bag lunches come with a sandwich, pickle spear and a single serving side (potato salad, macaroni salad or coleslaw available).